2 days of racing on the International track in Mondello in what can only be described as International weather kept the good crowds happy in all categories last weekend. Carl Phillips was the Mondello “Master” taking the 3 Superbike wins on the Michael Dunlop backed GSXR leaving new championship leader Richie Ryan frustrated as he could do no wrong to collect a hat-trick of 2nd places. Charles Stuart, Gerard Kinghan and Peter Moloney also shared the podium. Cup wins went to Andrew Murphy, Dean O’Grady and Eddie Healy. 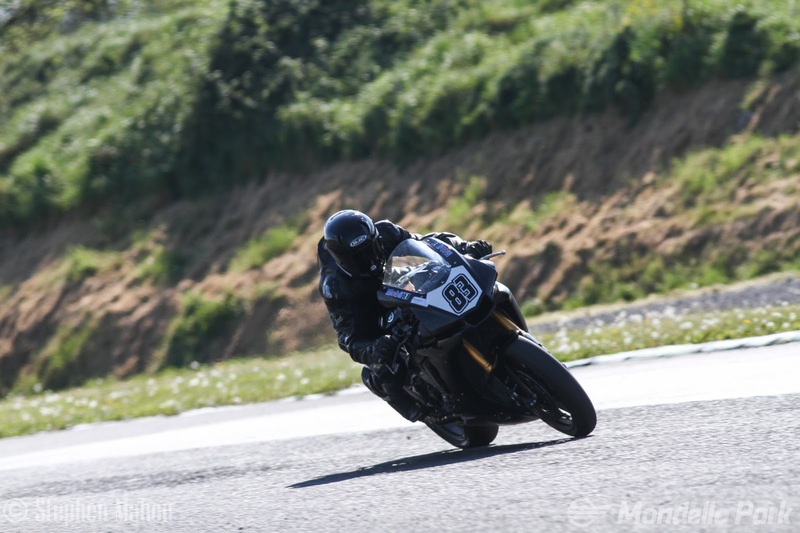 Supersport was typically a hard fought affair with Aaron Clifford taking his maiden Pro win on the Saturday, while Ross Patterson and Jason Lynn duked it out on Sunday to grab a win apiece. In the Cup series, Caolán Irwin after winning in the UK last week, continued on the run with a brace of first places in Race 1 and 2. 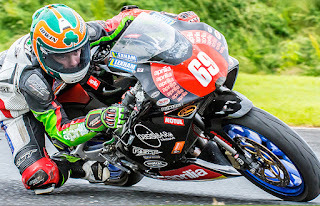 Eunan McGlinchey also grabbed headlines over the weekend with two 2nd places and a sensational win on the Sunday. Mark McConnville and Kevin Baker picked up the remaining podium places. Eunan also collected the Aidan Lynam perpetual cup as Aaron Clifford reluctantly returned it. Kevin Keyes took a break from supporting BSB in the UK to remind people of his speed and straight away took 3rd place in the first race. Korie McCreevy picked up a 2nd and 3rd. Not wanting to have the Irwin truck going home full of Caolán trophies was Rhys who got stuck into the Lightweight job to heist some silverware and did so in fine fashion collecting 3 wins on the Aprilia. 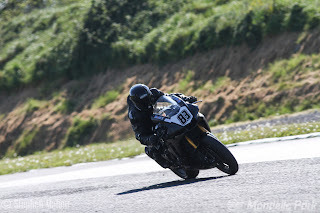 Jason Cassells claimed the 3 2nd places while Mark Camblin (twice) and Jaque Foley grabbed the remaining podium places in the Lightweight group on 400’s. Pre-injection racing sponsored by Principal insurance continues to pickup support as Joe Grant took the first win with Ian Prendergast in 2nd and Johnny Irwin on 3rd in Race 1. However all of Darryl Sharkey’s determination upset the applecart for the remaining of the weekend winning the next 2 races. Podiums were left for Ian and Joe as Mervyn Griffin and Johnny Irwin both joined the podium celebrations. 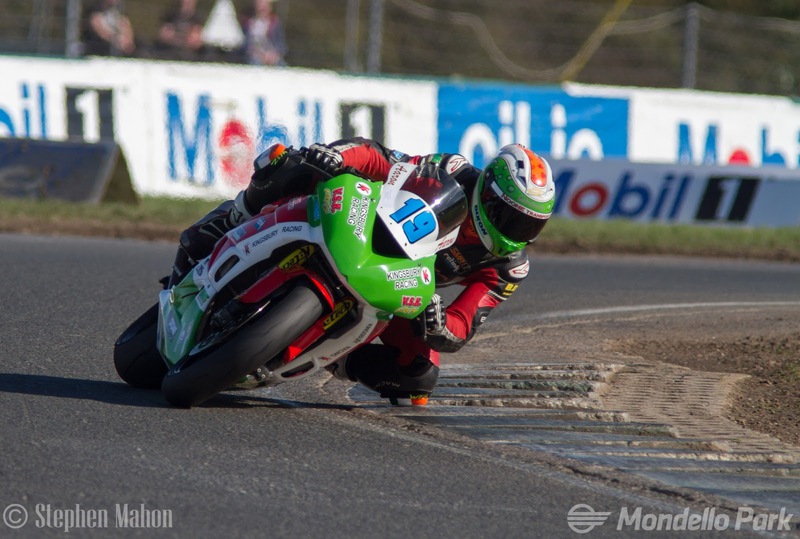 Rathmolyon’s favourite adopted son and TT veteran Terry O’Reilly, along with passenger Aidan Browne, had his new RSR sidecar dialled in at the weekend taking the win on Saturday. Dylan Lynch and Brian Butler were the fly in his ointment for race 2 coming from behind to win as brother Derek and Mark Gash claimed 3rd. 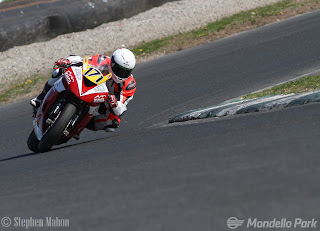 Derek and Mark also picked up 2nd in Race 1 with Scoobie Killough and Eamon Mulholland finishing in 3rd. Race 3 was postponed due to time constraints on Sunday evening and will be re-ran at the next round. 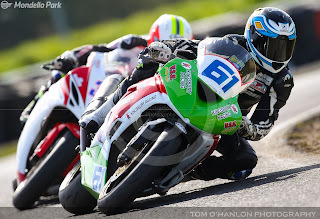 Eunan McGlinchey also cleaned up in the Production Twin races taking the three wins, 2 of which included a visit to the top step of the Supertwins podium further adding to the promise of this riders’ potential. James McKenna and Jason Cash benefitted completed the podiums with 2nd and 3rd respectively. 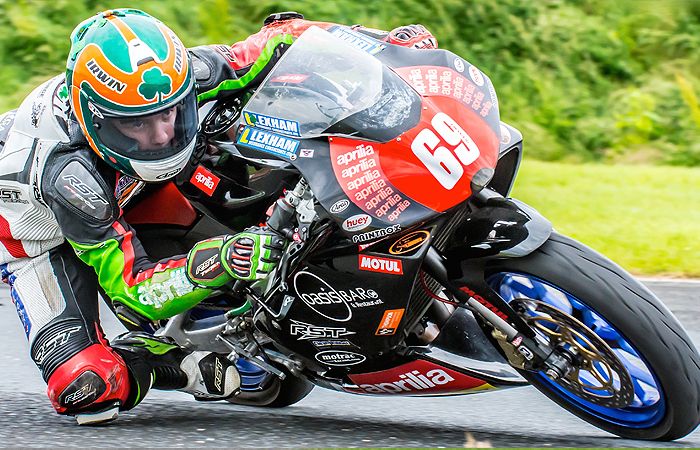 Alan Rigney continues to improve knocking on the door with 3 4th places. Derek Wilson picked up the 3rd win in the Supertwins as James Chawke and Dave Butler added to their points tally with 2nd and 3rd places. Multiple TT winner Brian Reid was in the paddock over the weekend as his son Simon contested the Supertwins races finishing well up the field with some 4th and 5th places. The MCUI Technical Team performed some spot checks during the weekend and any infringements found were acted on.